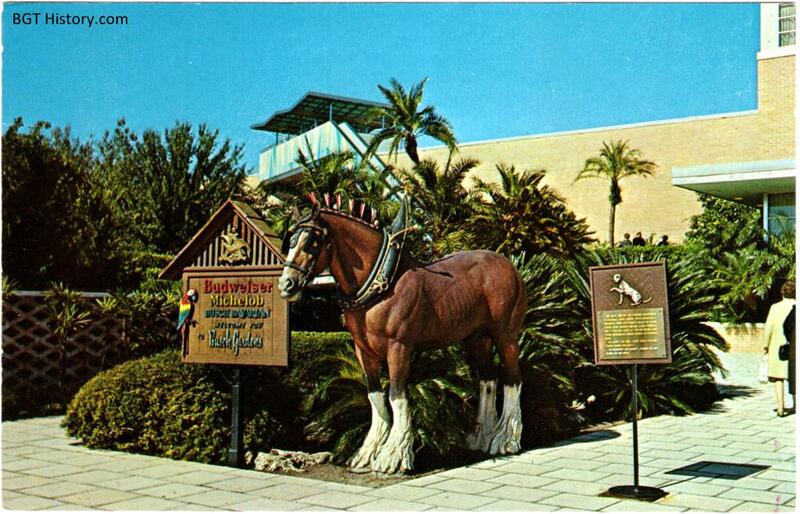 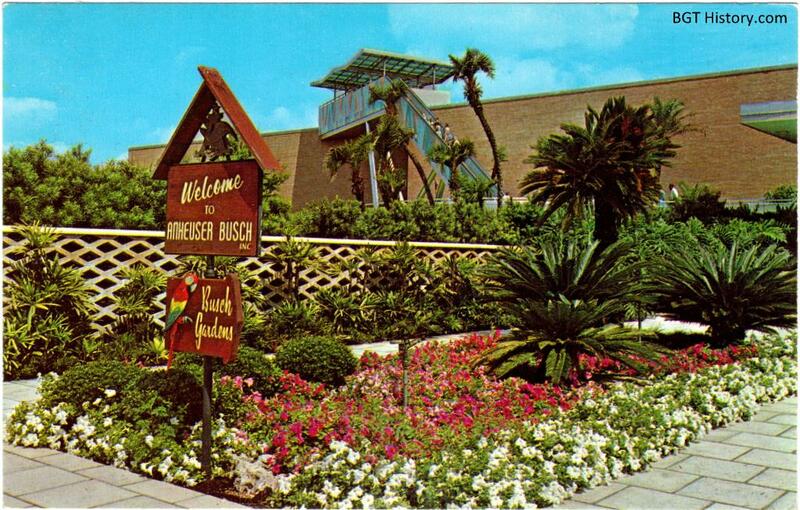 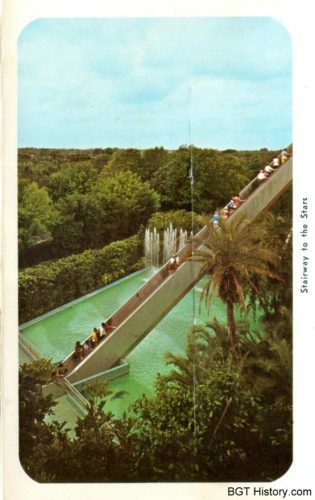 The first part of a tour of the Anheuser-Busch Brewery, Stairway to the Stars was often listed as a separate attraction in early maps and brochures. 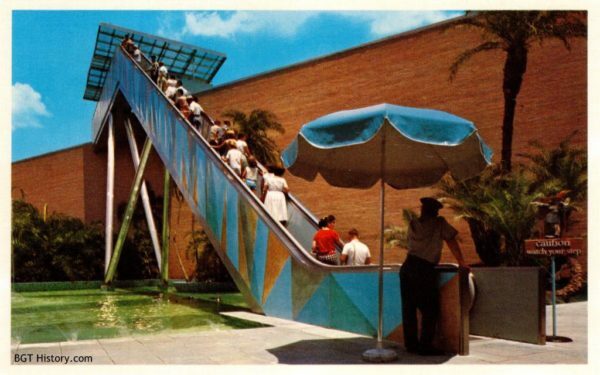 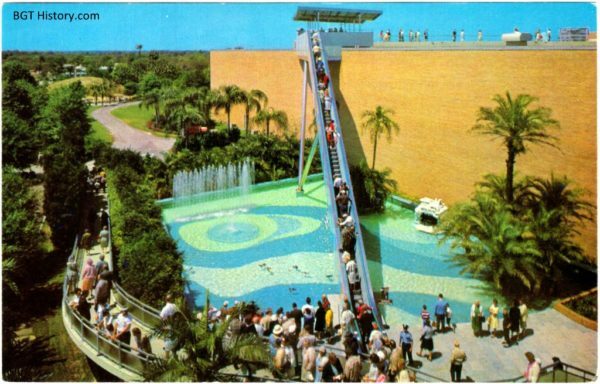 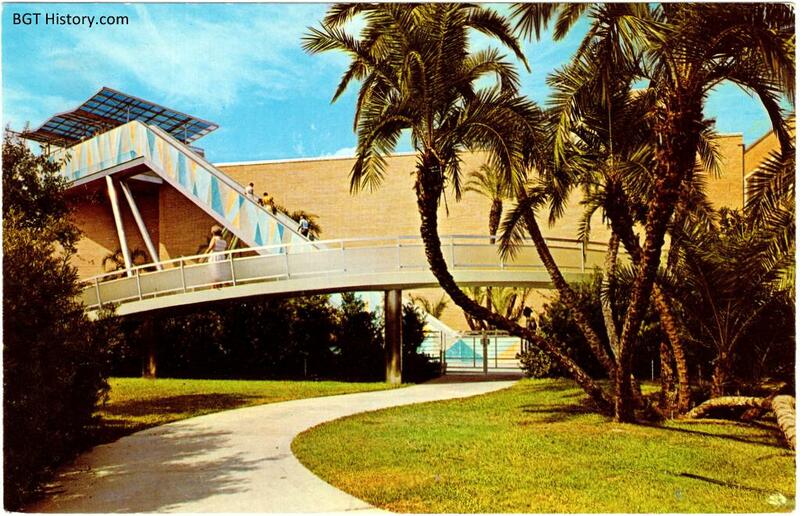 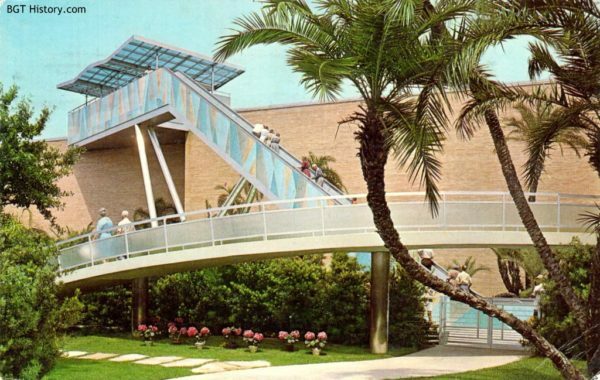 The large outdoor escalator transported guests to the observation deck on the roof of the brewery, over a reflecting pool below. 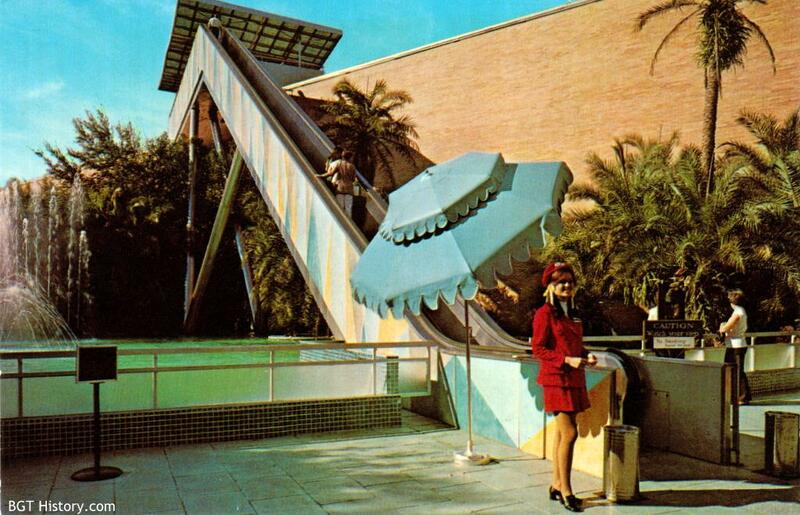 In 1974, the pool beneath Stairway to the Stars housed sea lions. 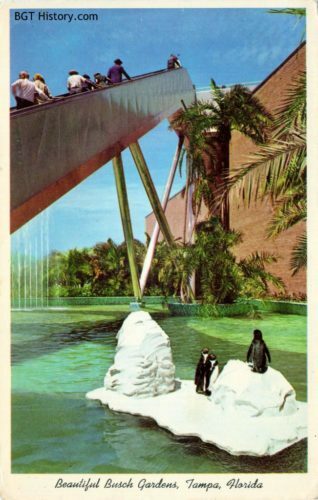 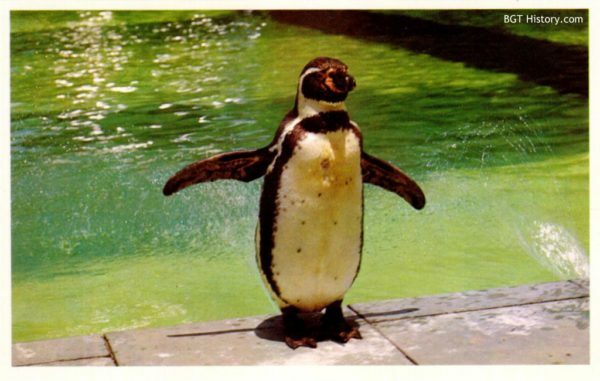 At another point, the reflection pool contained penguins. 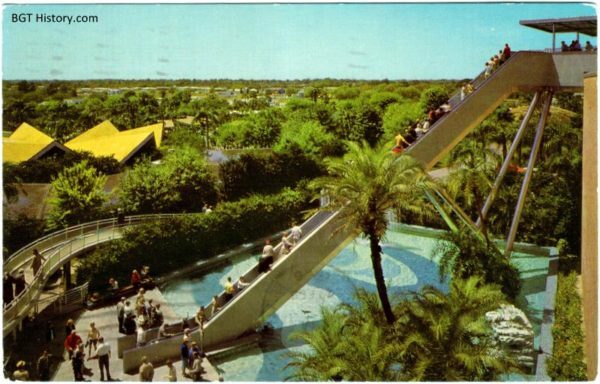 It was often billed as one of the largest or longest outdoor escalators in the world, rising 86 feet up the brewery’s facade.